December | 2013 | Not Your Average Hockey Blog. The Olympic rosters have to be finalized by New Years and the NHL has seemingly hit the mid-season injury peak, so how will these injuries affect the final rosters? Using the prospective rosters for each team from NHL.com I broke it down team by team. Canada: To put Stamkos on the roster or not to put Stamkos on the roster? That is the question. Steven Stamkos has set a personal goal to be back practicing by January and playing by February. 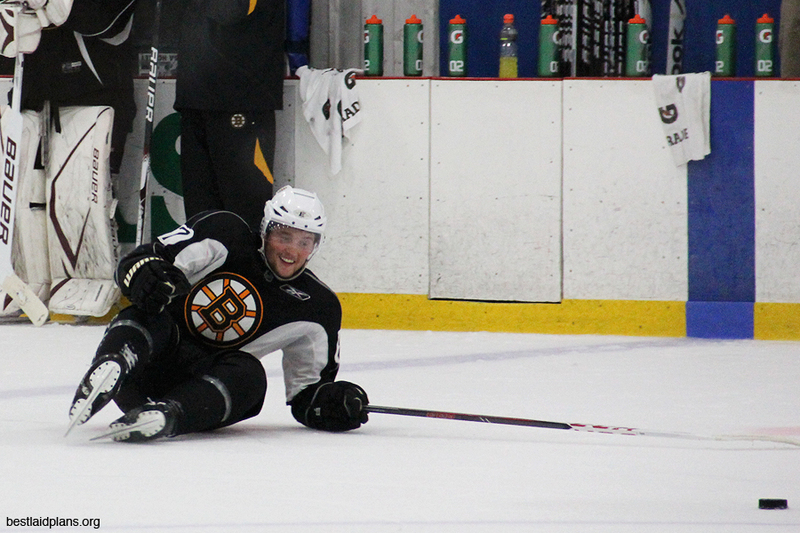 So far his recovery has been at a remarkable pace as he was back on skates only 33 days after his leg was broken. However, if they put him on the roster and he is not ready they waste a roster spot. On the other hand, if they don’t put him on the roster and he is ready, the team has to wait for another injury to happen. Canada has plenty of talent to choose from so Stamkos’s absence is not devastating, although he would be missed. USA: With only two injuries, USA is in pretty good shape. Dustin Byfuglin seems to be the logical choice since Paul Martin is injured. If Johnathan Quick is still having groin issues come the Olympics, Corey Schneider could take his spot and the third spot would fall to Ben Bishop or Jimmy Howard. Sweden: If Henrik Zetterburg (herniated disc) is not ready, this would be a major blow for Sweden. Louis Erickson (concussion), Victor Hedman and Alexander Edler are also injured. Johnny Oduya is a good replacement for Erickson and Marcus Kruger could fill one of the defensive openings. Finland: With only Mikael Granlund (head) and Lauri Korpikoski (upper body) injured, Finland could be okay. They have some young talent available that could fill those spots. Russia: Sergei Bobrovsky has a groin injury and should be good to go come Olympic time, but if he is still injured, Evgeni Nabokov could take his spot and the third spot would be open to someone else. If Bobrovsky is able to play Nabokov could take the third spot. Slovakia: With Marian Gaborik (sprained knee), Richard Panik (undisclosed), and Lubomir Visnovsky (concussion) all questionable, Slovakia will have to go to European teams to fill out there rosters. There is no shortage of talent as several of those players do have some NHL experience. Czech Republic: They seem to be the luckiest as their prospective team has no injuries. Of course more injuries can happen and those currently (as of 12/14) on injured reserve can recover so good luck to all the GMs that have to figure this stuff out by January 1st. 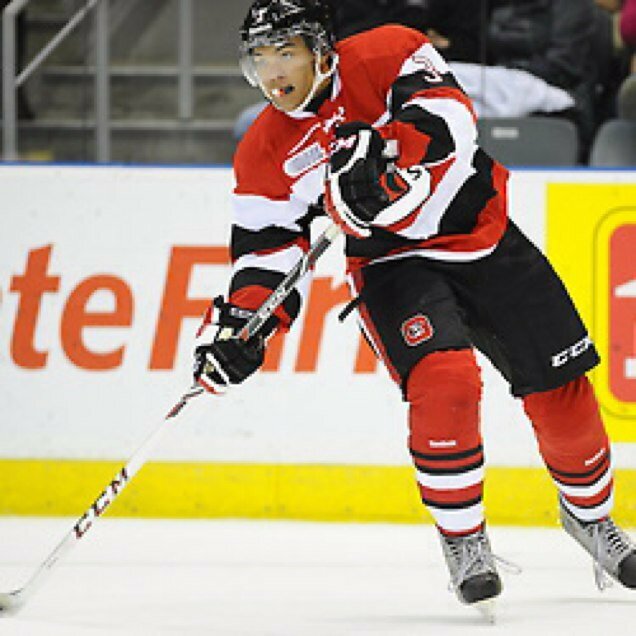 Let’s Meet Ottawa 67’s Defenseman Troy Henley! Without further to do, here is our interview with Troy Henley! We are in bold. So tell us about game day. Do you have a special routine you like to follow? Before every game I buy a drink from Booster Juice and a 6 inch sub from Subway. I listen to exactly 13 slow/mellow songs before I head to the arena. Can you name a few of the 13 songs that you listen to before every game? I listen to Roar-Boyce Avenue, Scar Tissue-Red Hot Chili Peppers, Bittersweet Symphony-The Verve, With You-Boyce Avenue, Speed of Sound-Coldplay to name a few! So what kind of player do you consider yourself? I consider myself a two way Defenseman. Depending on the game situation, whatever is needed I will do my best to contribute. Whether we need a goal to get back in the game, or to play tight defense and maintain a lead. Growing up, why did you decide to play defense and not a forward or goaltender? I actually started out as a goalie, but I wanted to be in the action more so I decided to be a player. I chose defense because I loved blocking shots because it made me feel like a goalie and a player at the same time! So you play in the OHL, and you’ve played in Canada for most of your young career, but you were born in the USA. Why did you choose to play in the OHL and not the USNTDP? They were both extremely hard choices to choose between, both the OHL and USNTDP have produced amazing players in the past. I felt that the OHL is the quickest route to the NHL and that is what mainly influenced my decision. What was it like to play in your first OHL game? It was amazing. Such a fast pace compared to last year. Its a league where literally everyone is a good player. You’ve also represented Team USA at the U17WJC, can you tell us about your experiences there? It was an unbelieveable experience. Going to Slovakia where I had never been before was truly amazing. After a few practices I had the honor of being named one of the Assistant Captains of the team. We had an unbelievebly talented team that led us on an undefeated road winning the championship. Do you keep the medal in a safe or is it out in the open? Haha of course its out in the open! So what’s the greatest thing about playing in Ottawa? Easily the atmosphere. Its such an amazing city to be in and I’m on a team surrounded by great guys on and off the ice. The highlight of my career other than playing for my country, has to be recently scoring my first OHL goal. Can you relive the goal for our readers? It took place this past Sunday, december 8th against the Barrie Colts. We were down 2-0 in the first period. It was the annual Teddy Bear Toss game, which means whenever our team scored the first goal, all of the fans would throw their Teddy Bears on the ice that they had brought to the game. I ended up getting a pass from my Defense partner on the blue line and I saw a screen in front of the goalie so I threw it on net and it trickled in setting off 100s of teddy bears to come raining down. It was the most exciting time of my life. What has been your lowest point? I must say I don’t really think I have had any real low points. I guess just minor injuries but other than that, nothing really! Well the next part is where the reader really gets to know you as a person. It’s the rapid fire round! Who’s the roomie on the road? So every team does pranks and I’m sure the Ottawa 67’s are no different. What’s the most memorable prank you’ve seen or done? Haha on the bus while most of the boys were sleeping, one of the boys tied all of the sleeping guys’ shoes in an extremely tight knot! One player you try to model your game like? I model my game after Vancouver Canucks Defenseman, Kevin Bieksa. He’s a two way defenseman, not the biggest guy, but he’s definitely a player guys do not like to play against. Favorite team growing up and to this day is the Colorado Avalanche. My buddy Chase Harwell on the Sherbrooke Phoenix of the QMJHL or Ethan Price on the Portland Winterhawks of the WHL. Hockey is the toughest sport in the world. Be strong and be tough. Development is key. Thank you for your time. We look forward to seeing you in an NHL jersey one day.